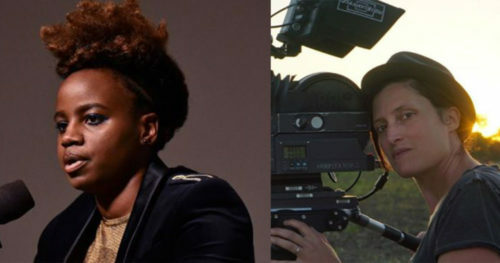 Rachel Morrison became the first woman nominated for an Oscar for cinematography, and Dee Rees the first African American woman nominated for best adapted screenplay. Rees also directed the movie, set in the Jim Crow South and based on the novel of the same name by Hillary Jordan. She wrote the screenplay with Virgil Williams. Mary J. Blige stars in “Mudbound,” and has been nominated for best actress category, and the song “Mighty River” that Blige performed and Raphael Saadiq and Taura Stinson co-wrote has also been nominated. Morrison is married and she and her wife welcomed a son into the world in February 2015. Rees is in a relationship with writer Sarah M. Broom. Rees has said that her 2011 film Pariah, about a 17 year-old girl learning to accept herself as a lesbian, is semi-autobiographical.